Hey dolls! 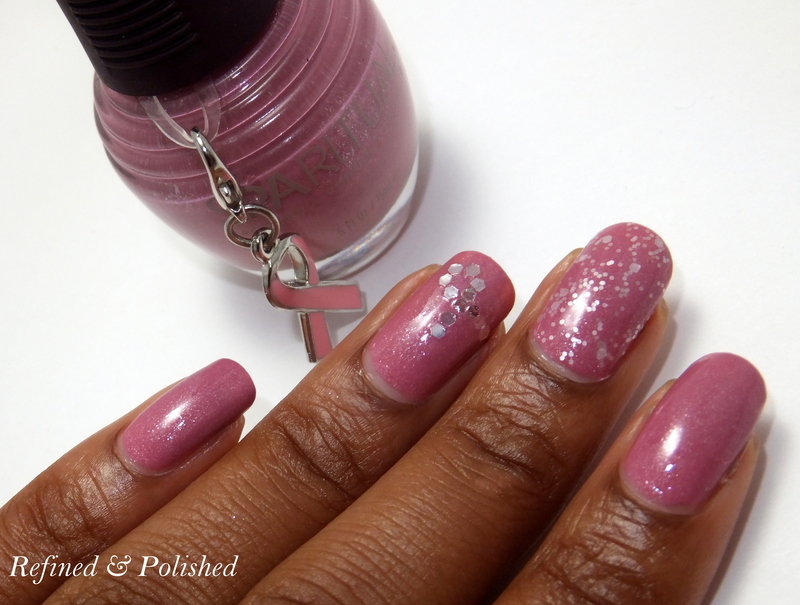 This week marks my third breast cancer awareness mani. 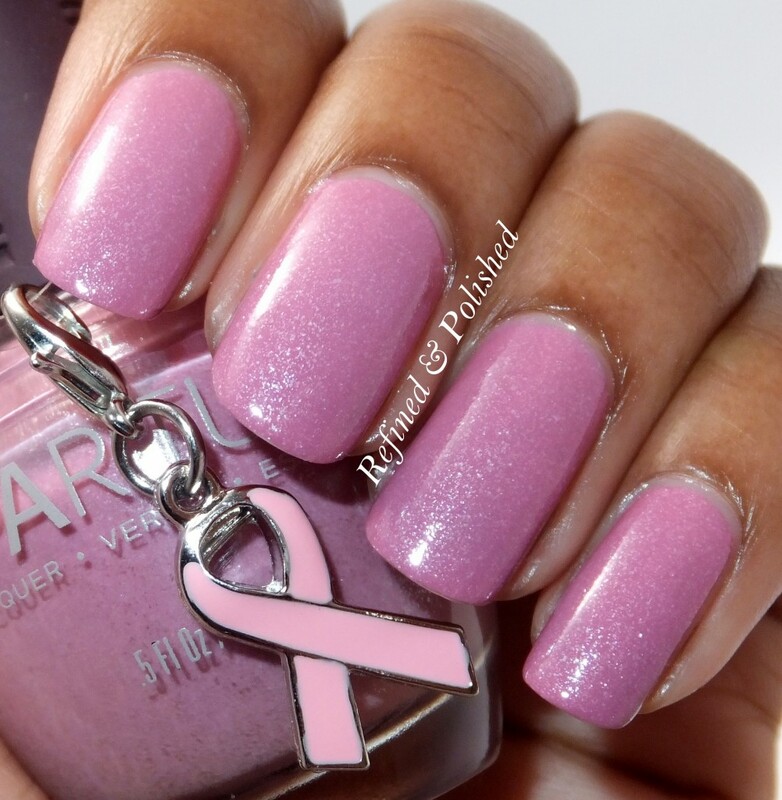 Breast cancer is the second leading cause of cancer death in women after lung cancer. The chance of a woman having invasive breast cancer some time during her life is about 1 in 8 and the chance of dying from breast cancer is about 1 in 36. Thankfully, the number of breast cancer related deaths have been decreasing as women are being diagnosed earlier and better treatment is being provided. For additional information on some of the risk factors for breast cancer, you can learn more here. I am so in love with this week’s look. It was inspired by one of my closest polish friends Tam, who gifted me with both polishes used. I started with a base of SpaRitual Courage, a dusty pink filled with silver shimmer. 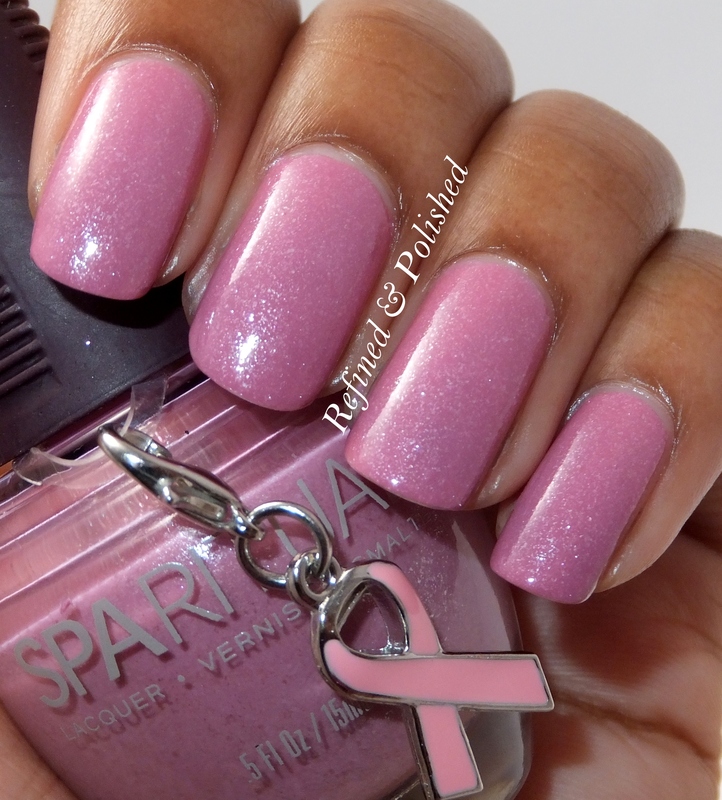 The name of this polish is perfect as courage is exactly what those who deal with breast cancer exhibit as they fight. The formula was great and applied evenly in two coats. Isn’t SpaRitual Courage pretty? 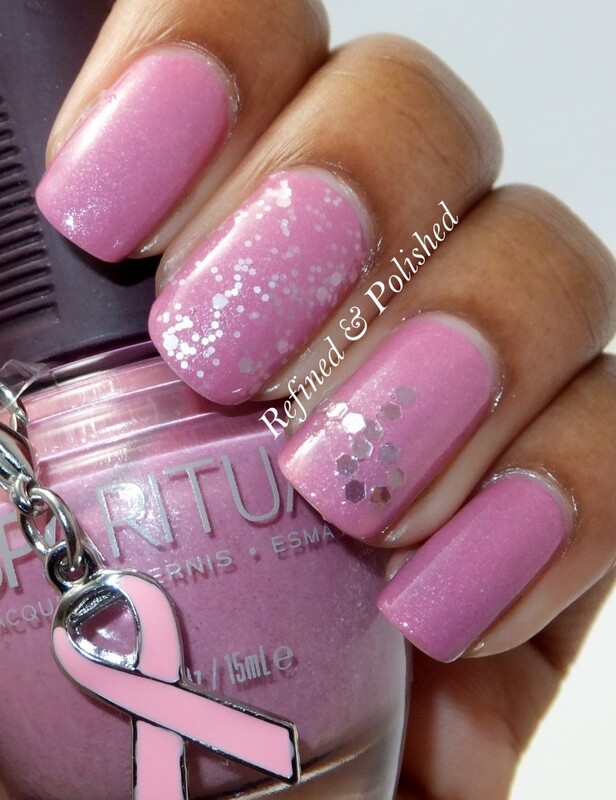 I just love that it comes with a pink ribbon charm as well. For a little subtle sparkle, I added an accent nail of a franken Tam made called Flurry. We were always talking about needing the perfect white glitter that wasn’t too chunky and Tam came up with a great one! I used glequins (previously reviewed here) from BornPretty to create the ribbon on the other accent nail. I absolutely love how subtle this is! So simple and chic! The glequins provided just the right amount of sparkle. Let me know if your loving this look as much as I am.